vi+137 pages with diagrams and index. Octavo (8 3/4" x 5 3/4") issued in green with gilt lettering to spine. Translated by K P Neat. (Lusis: 1108) First American edition. 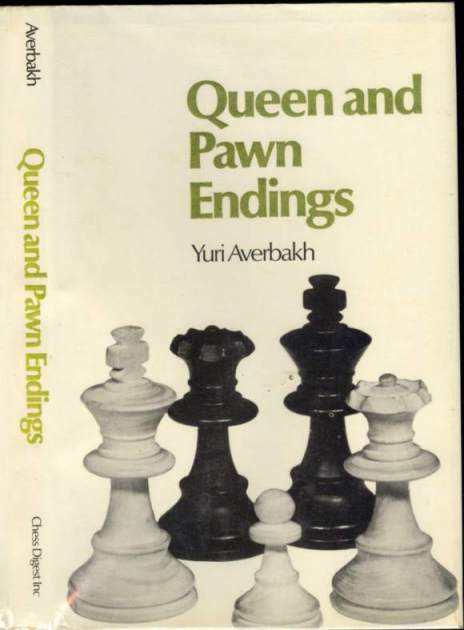 This is the second volume of Averbakh's great classic series on the endgame. The original Russian edition quickly established a world wide reputation. 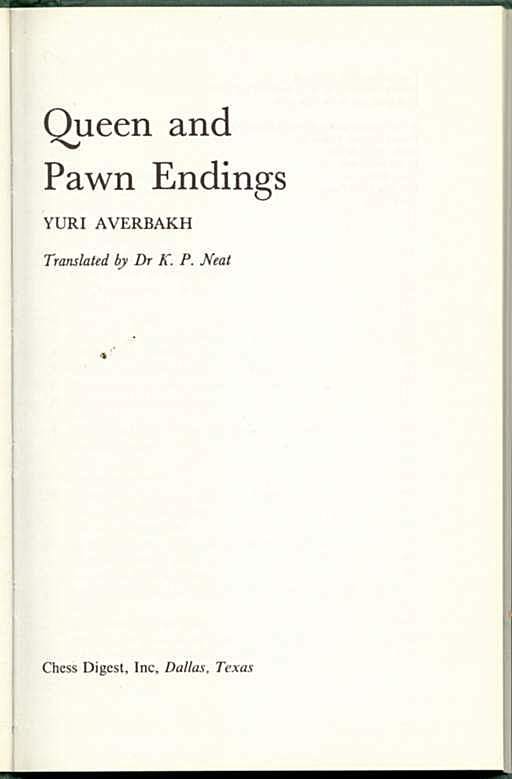 Te English translation has been updated and is by far the most complete work on queen and pawn endgames published. Light rubbing to extremities. A very good copy in a very good to fine dust jacket.